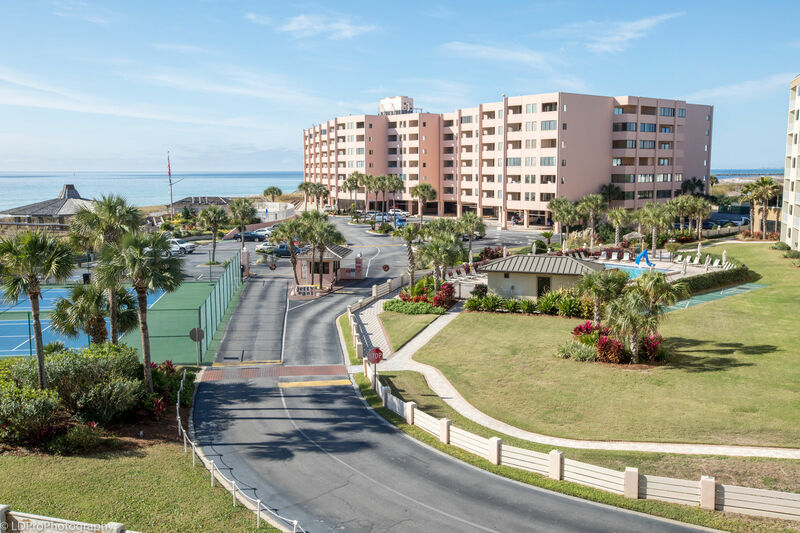 Inlet Reef 312 - Holiday Isle Properties, Inc.
Unit 312 is a two bedroom, two bathroom beachside condo with a spectacular view of the Gulf of Mexico. 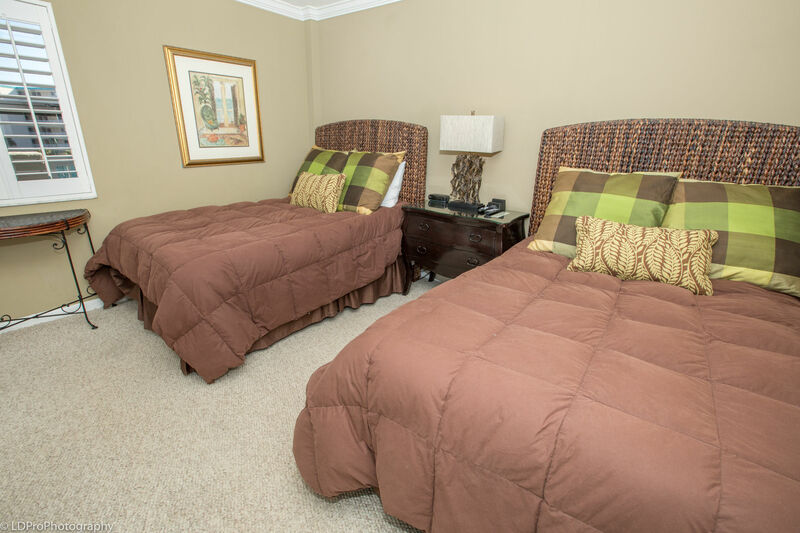 This beautifully remodeled unit sleep eight guests. The furniture is in the West Indies/Caribbean style. 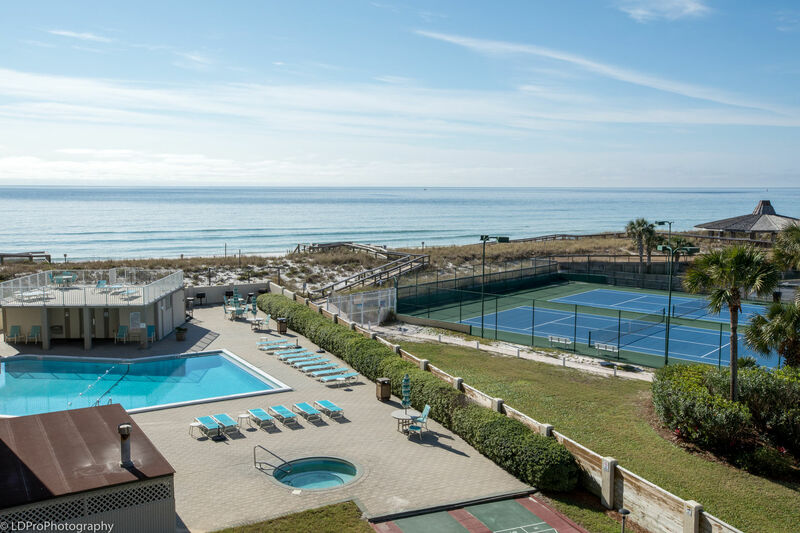 No expense has been spared in creating the ultimate beachgoer’s paradise. 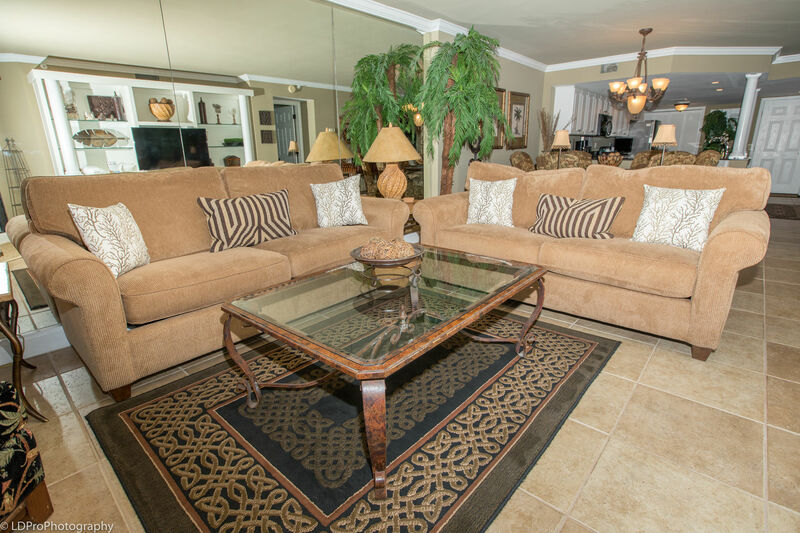 You will be hard pressed to find another property that comes close to the spaciousness, elegance, and comfort that you will find here. 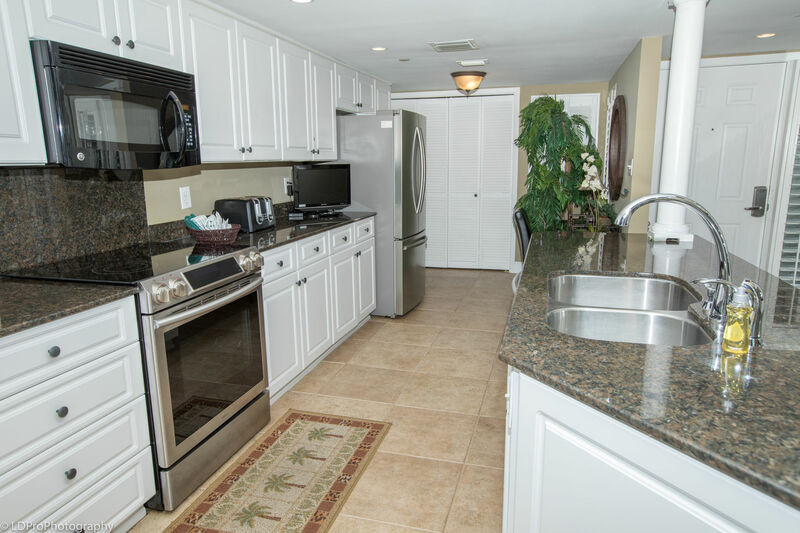 Everything has been tastefully adorned and accounted for, leaving you to enjoy your vacation in total relaxation. 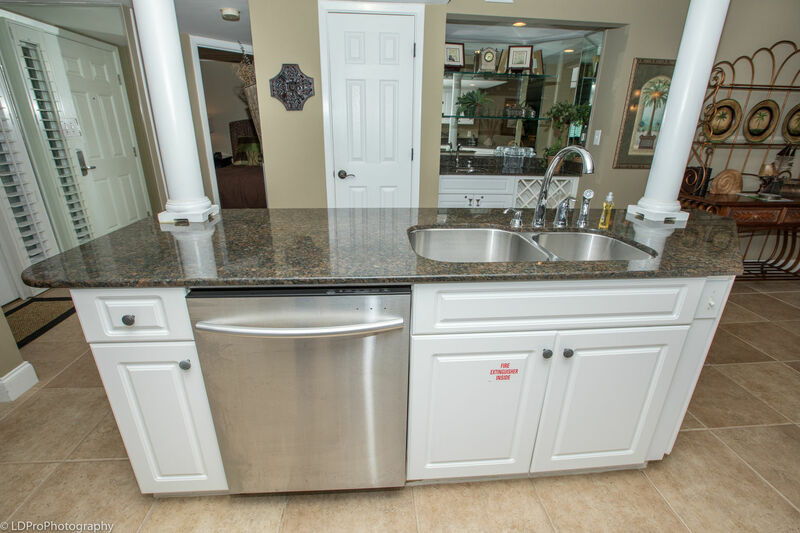 The well-equipped walk-thru kitchen features custom granite counters, full size stainless steel appliances and a HDTV/DVD, allowing you to keep up with the news as you prepare breakfast. 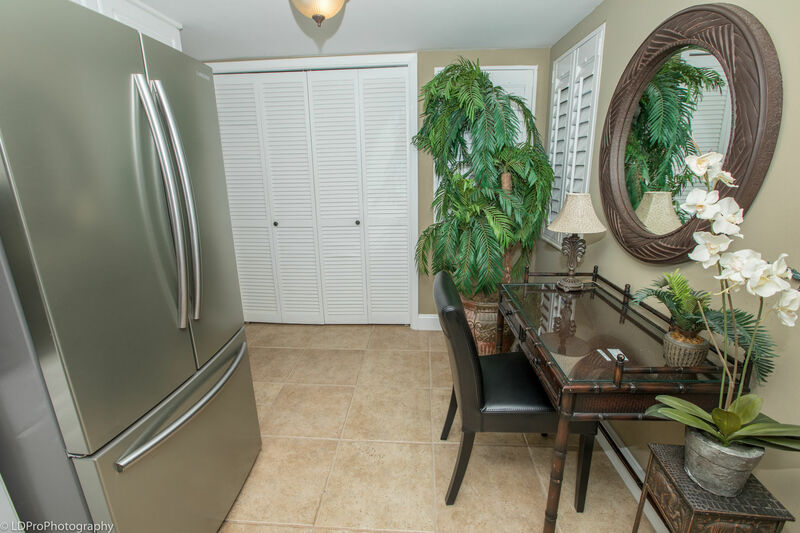 Adjacent to the kitchen is a convenient desk to check e-mail on the wireless internet. 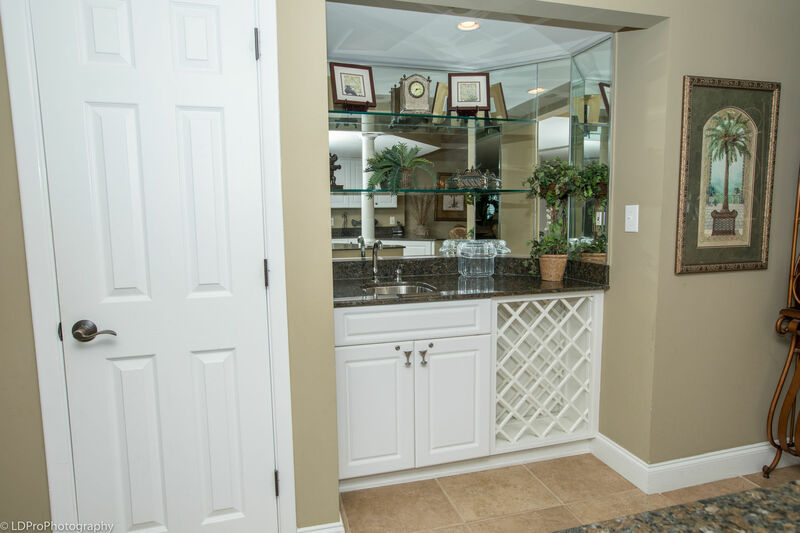 Across from the kitchen is a full service wet bar with a granite counter, making for a perfect place to whip up your favorite beach cocktail. In the Dining Area, the large circular dining table is located under the chandelier and set for six guests. 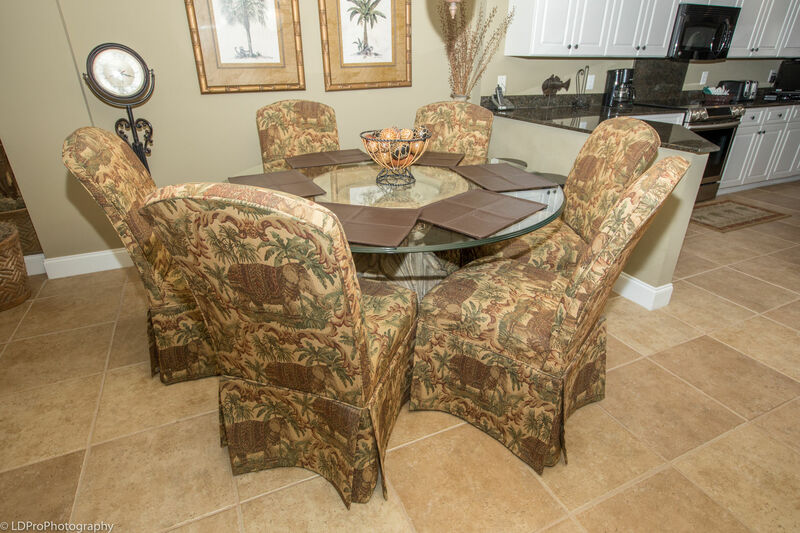 There is also bar seating for two additional guests, so you will never have a shortage of eating space. 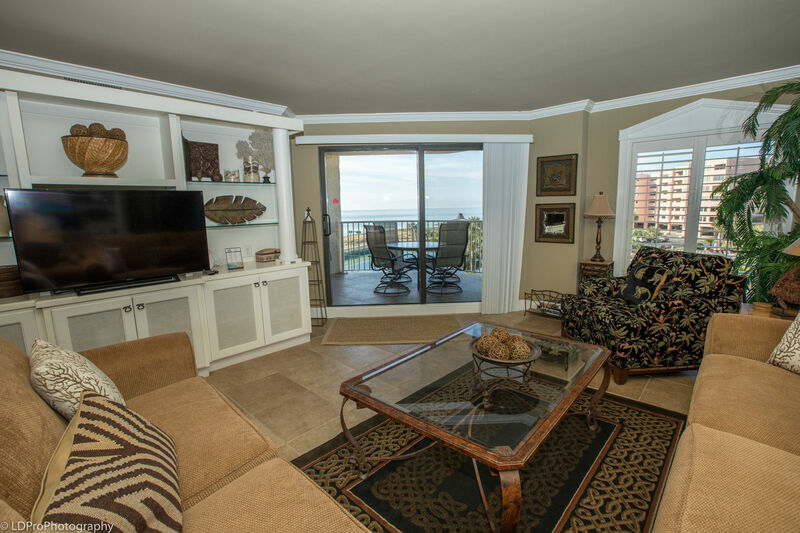 The Living Room has two couches, one that doubles as a Queen Sofa Sleeper, a large plush chair, a 46” HDTV, a DVD player and balcony access. 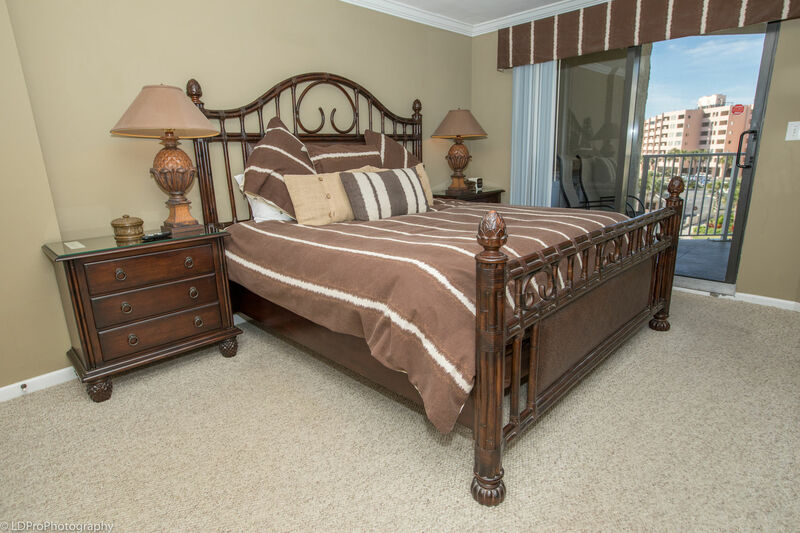 The Master Bedroom is adorned with Tommy Bahama furniture, featuring a King size bed, a wall-mounted 32” HDTV, and balcony access. 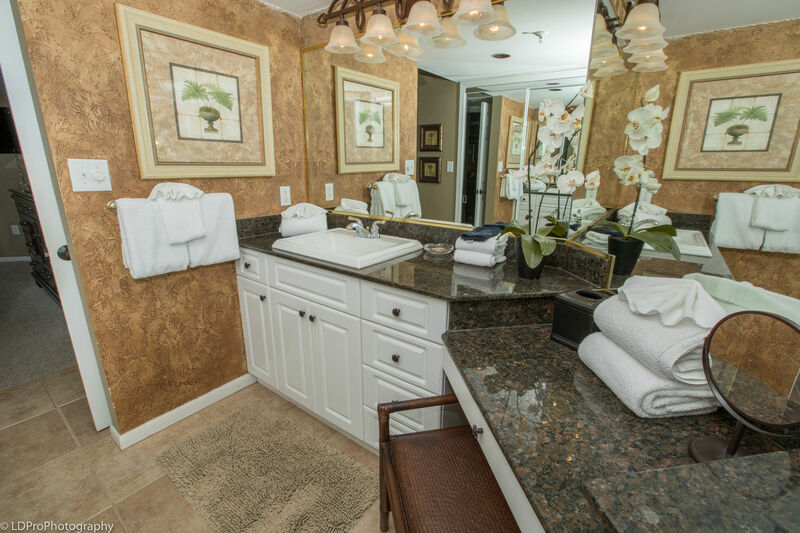 The Master Bath has a two raised granite vanities, a make-up table, and a large walk in shower. 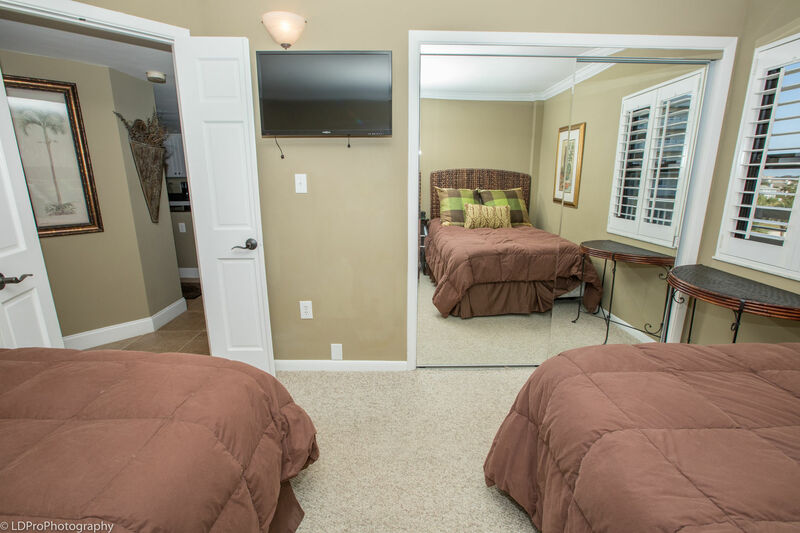 The Guest Bedroom has two Full beds, Pottery Barn furnishings, a custom closet and a wall-mounted 32” HDTV/DVD. 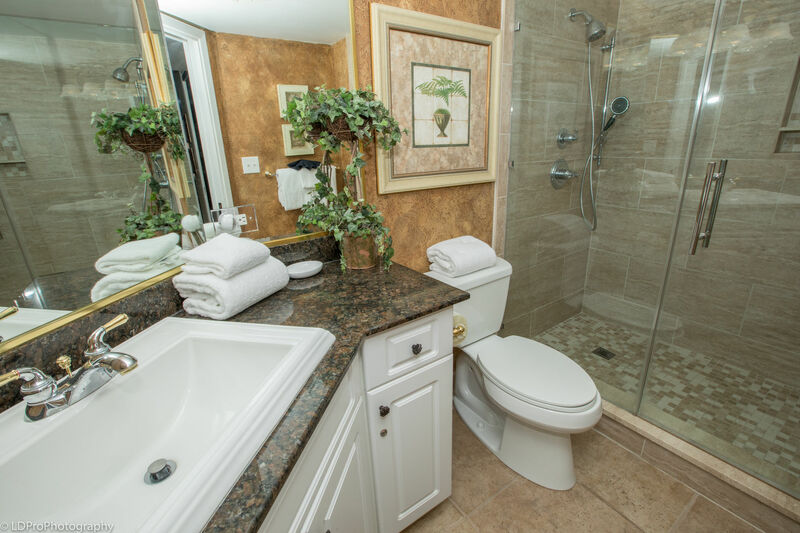 The Guest Bath has a granite encased sink and a marble surround bathtub/shower combination. As breathtaking as this property is on the inside, the real treat is the view. The balcony is hexagonal in shape and comes with a serving bar, an outside dining table and seating for six. 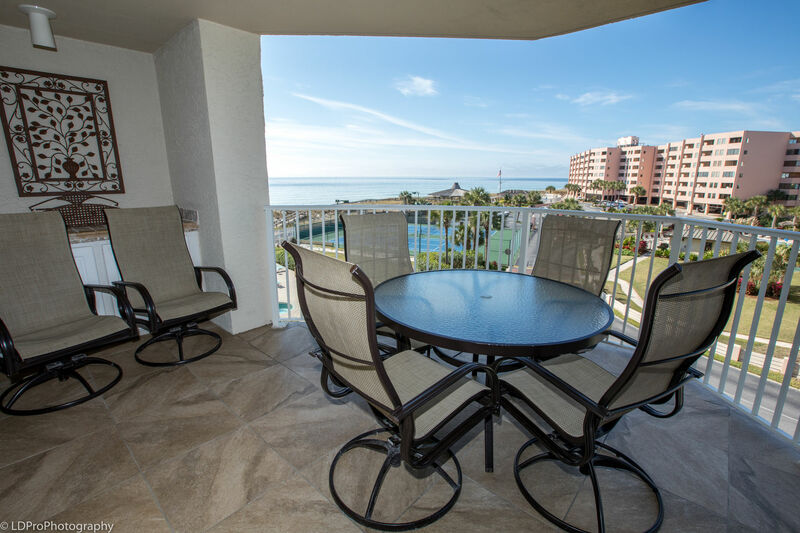 From this balcony you can relax and listen to the waves as you take in spectacular views of the Gulf of Mexico, Inlet Reef’s pool area, and partial views of The East Pass. 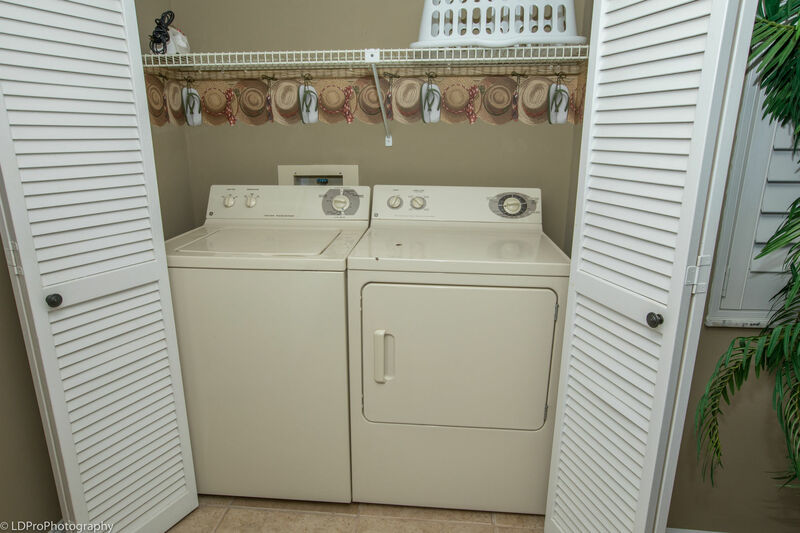 Other amenities include plantation shutters, a full size washer and dryer and complimentary high speed wireless internet access. 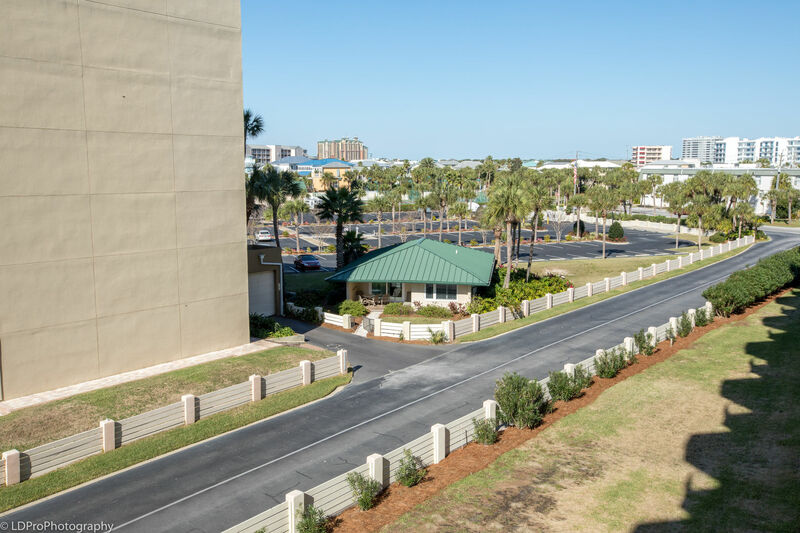 At Inlet Reef Club 312, nothing has been spared in assuring your Destin vacation is perfect, so book this property before it’s too late. 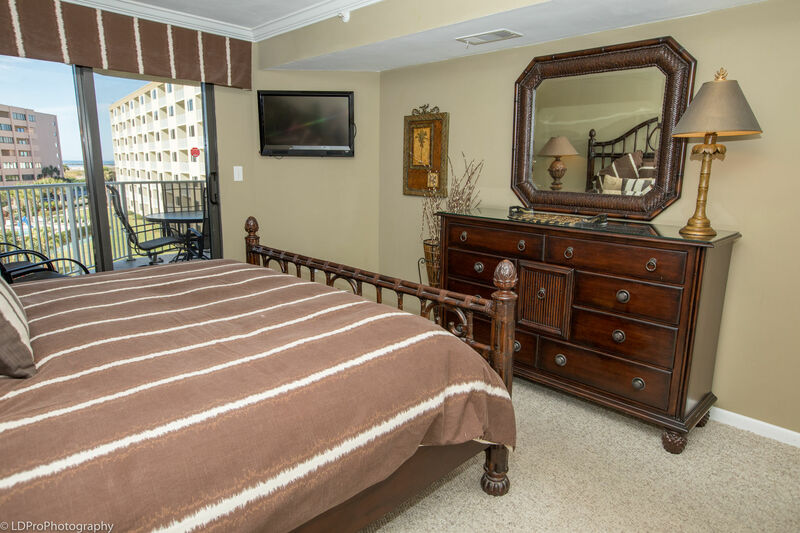 Unit 312 is only available for weekly rentals (7/14 nights) Saturday to Saturday. We had a wonderful time at Inlet Reef! 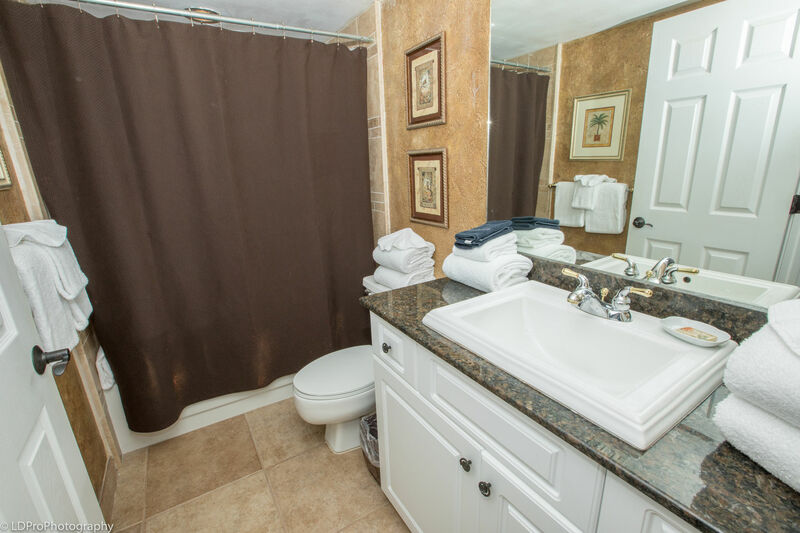 This condo was beautifully decorated and well maintained, with all the amenities of home. We enjoyed cooking dinner in most nights. The kitchen was stocked with everything you would need. The beds and sofas were comfortable and the washer and drier were a big bonus! Inlet Reef was clean and comfortable complete with a courteous staff! !